In his bestselling book about the 2008 world financial crisis, The Big Short, Michael Lewis weaves a compelling tale of the small group of people who were paying attention when the rest of the world was rushing like a herd of Gadarene swine, possessed by devils, over a cliff. The apologists for the criminally corrupt system that calls itself “capitalism” have spent much of the past three years telling us that no one could have predicted that the market for Collateralized Debt Obligations, (worthless mortgages bundled together into even more worthless mortgage bonds) would unravel—and to such devastating consequences. Of course, the point of Lewis’ book is that not only was it possible to predict, but it was impossible not to. The main characters in his book did predict it, and in the process, made billions when the system blew itself to bits. Only an extraordinarily deluded cult, like that of free market religion, would have consistently kept betting that the laws of economics had been suspended and that the madness of the crowds would last forever. 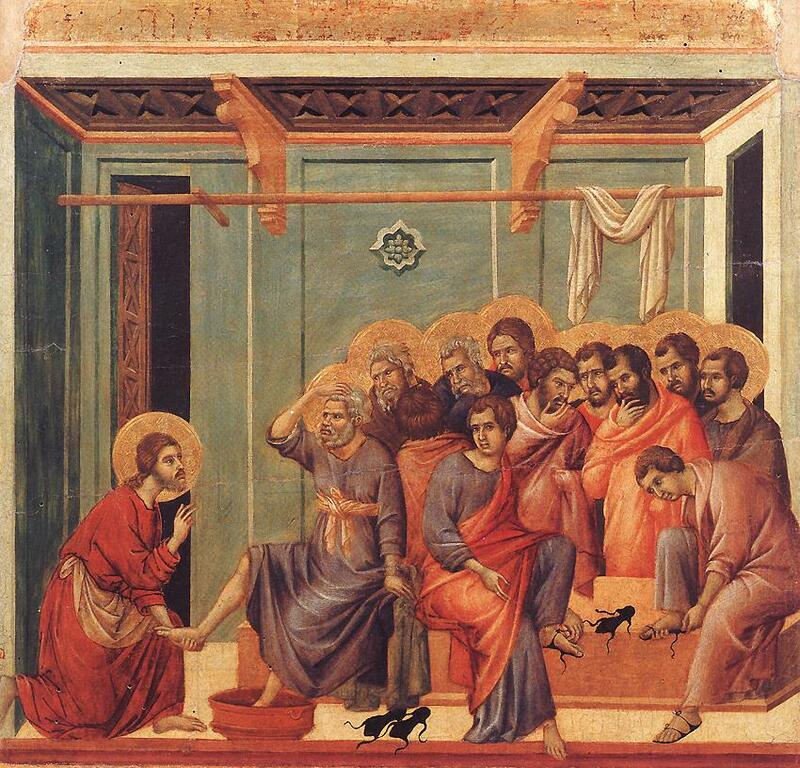 It’s Maundy Thursday in Holy Week, the observance of the ancient Mandatum, that Jesus’ followers should wash each other’s feet as a symbol of mutual servanthood as he did theirs on the night of his arrest. It is a mostly neglected ritual, practiced in those churches who still use some form of the traditional liturgies, and in a smattering of Anabaptist, Holiness, and fundamentalist free churches. It has none of the glory of Easter or Christmas and, is often avoided by even the otherwise devout. That’s because, Maundy Thursday seems like shorting the Gospel. After all, everybody knows how the story ends: an Empty Tomb, a Risen Christ, the disciples forgiven and gathered back, ready to convert the world. Why dwell on all the dark stuff between the Triumphal Entry and Easter sunrise? The good guys win, so let’s have a Cantata! The problem is, without the dark days of Maundy Thursday and Good Friday, there cannot be an Easter. Without a Gospel that focuses on serving other people there cannot be a Gospel of Resurrection. Without the Big Short of Jesus’ betrayal, abandonment and death, there cannot be the joy in the morning. I’m going short on Jesus tonight. I think it will pay off big time.